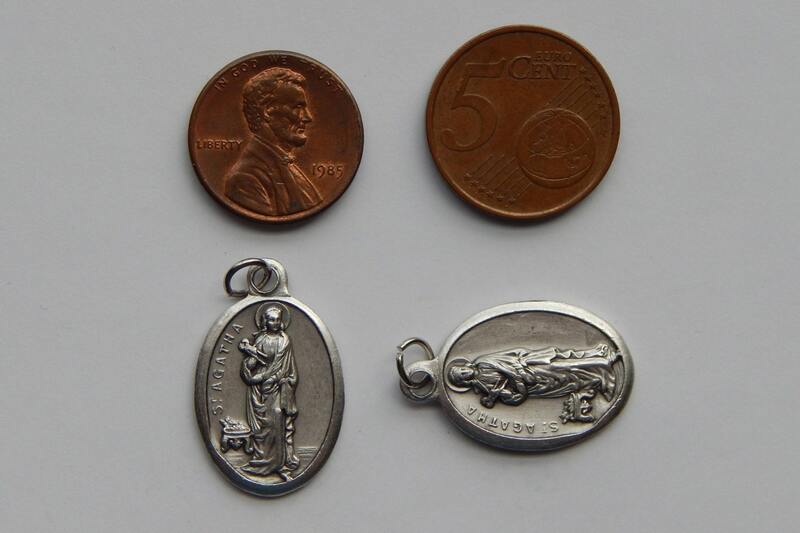 Medium sized rosary / religious finding, featuring the patron saint St. Agatha. 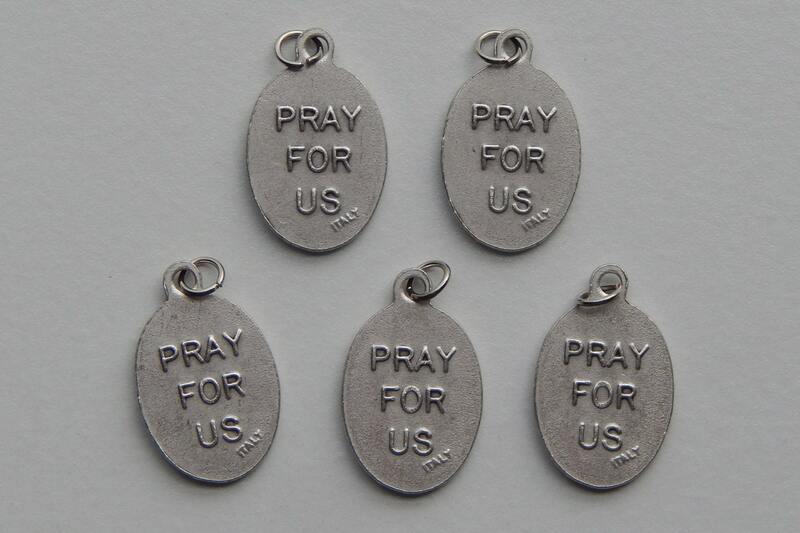 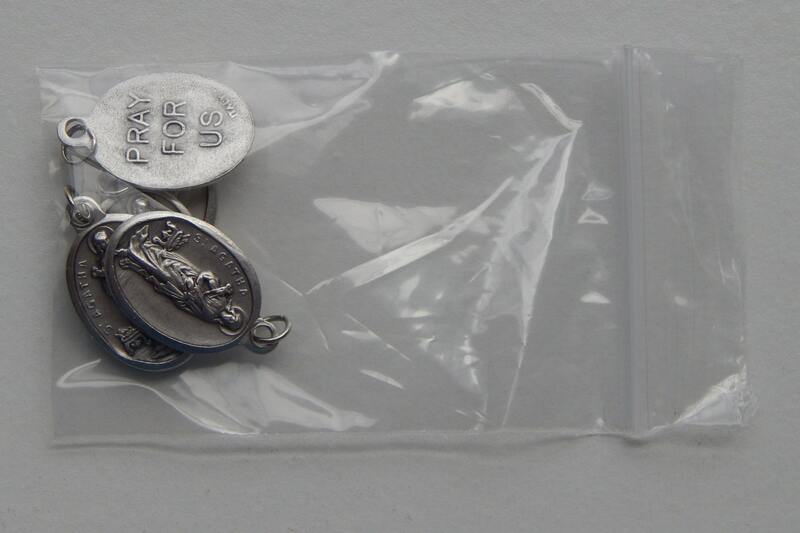 Double sided design, with the PRAY FOR US legend raised on the back. 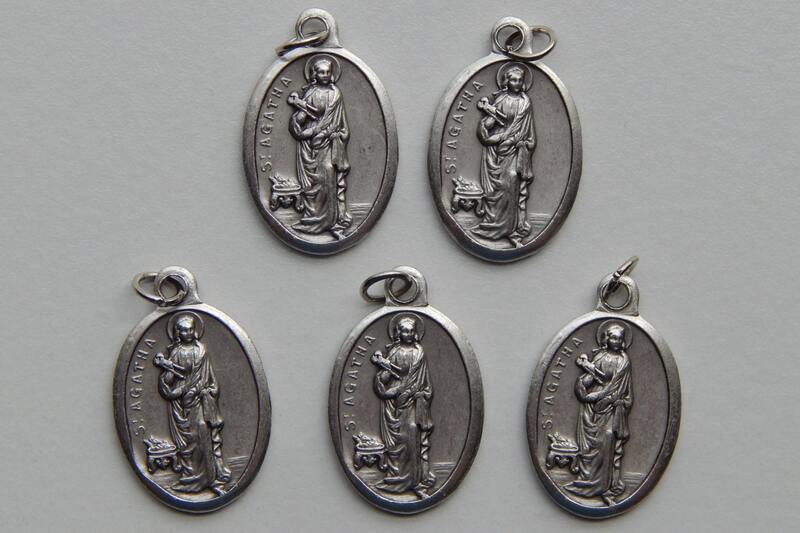 Findings are perfect for attaching to rosaries, chaplets, bracelets, or necklaces. 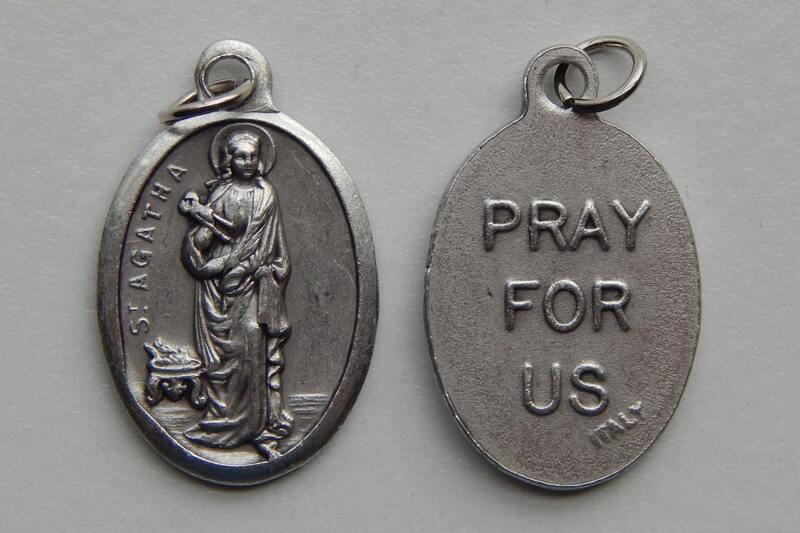 Patron Saint is St. Agatha.